Another day, another multi-billion dollar judgement potentially hazardous to the software development community. In the latest round of the Oracle v Google dispute over the use of Java (Oracle) API’s in Android (Google), the Court of Appeals for the Federal Circuit of the United States (CAFC) overturned the lower court’s jury verdict that Google’s use of Java APIs was fair, and remanded the case back to trial (for the third time) on damages that Google would have to pay – potentially 9 Billion USD. However, the judgement is goes far beyond monetary claims between these two tech giants – having deemed APIs to be copyrightable subject matter, it sets the standard to which the use of APIs will be held when determining whether its use is ‘fair use’ under US law, a body of law often referenced in India as well. This post will discuss the implications of the most recent finding of the CAFC. Oracle owns the Java programming language – a language built for interoperability and multifunctional use, with the motto ‘write once, run anywhere’. Google, in 2005, acquired Android, and began its development by utilizing Java APIs. 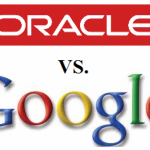 Oracle sued Google over the use of its code. The first trial rested on the question of whether APIs are copyrightable subject matter. This question is of immense consequence. APIs or Application Programming Interfaces, are the signposts which allow developers to make different programmes and software interoperable, without having to rewrite the entirety of the code themselves, in a new and original manner. If you decide to tweet this post using the link provided below (please do! ), you will be utilizing Twitter’s API which has been embedded on this blog. APIs consist of declaring code – an expression that identifies the prewritten function and tells the computer to execute the implementing code – the specific instructions for how to carry out a program. 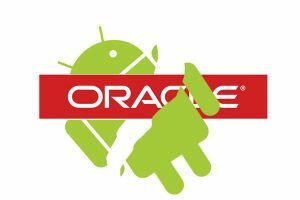 Oracle claimed copyright over the declaring code, verbatim copied by Google, as well as the ‘structure, sequence and organisation’ of implementing code being used by Google for the development of the Android software. This SSO standard is the standard used to determine whether software has been copied, under US Copyright Law, when it does not amount to literal copying. Google’s defence was that APIs are not copyrightable subject matter. The debate on copyrightability rested essentially on the principle that the use of functional elements of a literal work should not amount to infringement of the work. The District Court found that Oracle APIs were not copyrightable, which finding was reversed by the Federal Court of Appeals, and remanded back to trial on whether Google actually infringed Oracle’s copyright, or whether the use of the APIs should be deemed fair use. The jury returned a verdict favourable to Google – declaring its use of APIs as fair, which has now been overturned once again by the Court of Appeals for the Federal Circuit. Purpose and character – The Court found that Google’s use of the Java APIs was commercial in nature (notwithstanding that the Android software was open source) because Google earned advertising revenue from data collected through Android. Secondly, the Court rejected Google’s contention that the use was ‘transformative’, a strong factor in favour of fair use. The Court held that Oracle had already licensed its APIs for use in software, and moreover, the purpose of the use was the same – the declaring code was verbatim copied for the same purposes for which the APIs had been made. Nature of the work – On the second factor, the Court found in favour of Google, because it recognized that APIs were functional and their use was constrained by the necessity to create APIs in a particular manner to enable their functionality. However, the Court noted that this factor was not particularly significant in the overall consideration of factors. Amount and substantiality of the copied portion used in relation to the the work as a whole – On this factor, the Court found that Google’s use of 11,500 lines of code was more than what was necessary for the purpose of writing in Java. Further, qualitatively, the copied lines of code were important to the Android system. Therefore, this factor too weighed against a finding of fair use. The effect of the use on the potential market of or value of the copyrighted work – The Court found that Oracle’s own competing smartphone OS had suffered as a result of the popularity of the Android system and overturned the jury verdict on this principle, which had held in favour of Google. Unfortunately, this conclusion does not offer too much comfort to the developer community operating under US law, where it remains unclear whether the development of programmes which incorporate APIs will make developers liable for infringement, and to what extent they can protect themselves from this charge while enabling the APIs necessary functions. As one scholar notes, the real difficulty in this court was the initial finding of infringement of APIs, which blurs the right between the protection of creative and functional elements. As a matter of principle under many copyright jurisdictions, that portion of a work used incidentally to the expression of a particular idea, should not constitute infringement. In considering APIs, there are only specific means of writing a program which is ‘creative’ and does not copy the structure, sequence or originality of an existing API which enables a particular function. Oracle’s win on infringement meant, effectively, that any API executing a particular function would be the property of the person who wrote that, effectively excluding the use of that function (say, connecting a WordPress blog to an Amazon cloud server). Moreover, the ruling has a cascading effect given that uses of APIs have been without licenses, upon which further systems have been built, which are now imperilled. In terms of its latest ruling on fair use, the Court of Appeal has indicated that functionality does not play a particularly large role in fair use of software, a finding which is particularly important given the works in question – APIs which are essentially required methods for compatibility. 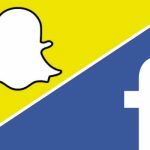 Secondly, that ensuring interoperability and porting to different platforms may not be considered transformative enough for a favourable fair use verdict. Ultimately, both the copyrightability and the fair use verdict jeopardize the developer community’s long-standing custom of permissionless use of APIs for ensuring compatibility between programs. Given that an open source customisation of APIs for use in smartphone was not found to be fair, it is likely that it will embolden developers to lay claim over specific APIs. There will, in turn, be a chilling effect in the use of APIs by developers, instead requiring them to rewrite their own specifications for these specific uses, and convince anyone working with them to use their APIs, instead of operating in a more free and interoperable universe. There are jurisdictions where the issue has been treated differently. 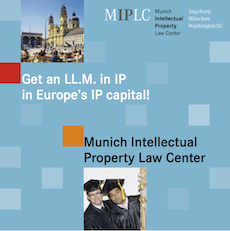 The CJEU has declined copyright protection for APIs, holding that extending protection to the functional elements of a program would amount to allowing ideas to be monopolized, and not merely specific expressions. 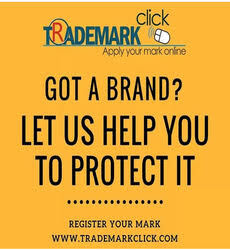 India allows software to be copyrighted under the Copyright Act, and, while the use of APIs does not clearly fall into the exemptions under Section 52 of the Act, Courts in India have recognized that where an idea can only be expressed in a particular manner, such expression would not be entitled to copyright protection. Guest Post: And we thought Java API’s were open?